The wrongful use or overuse of pesticides and herbicides can have huge environmental impacts, and can sometimes even result in devastating man-made environmental disasters. Because of the long-lasting harmful effects of negligent pesticide and herbicide use, and, indeed the accidents associated with their production, it’s important for businesses to engage in thorough environmental site assessment to ensure the well-being and safety of their employees and clients. In this blog we take you through some of the most horrific disasters associated with pesticide contamination, as well as catastrophic pesticide and fertiliser plant accidents. 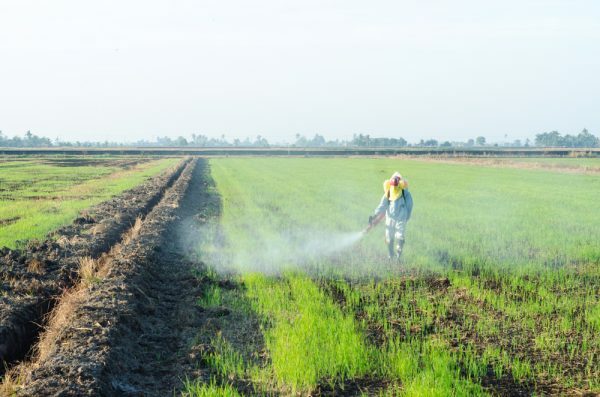 Rainbow herbicide was used by the American military as a war tactic during the Vietnam War, and its devastating effects are still felt by Vietnamese citizens today. These deadly herbicides, most notably Agent Orange, were sprayed over farmland and rice paddies throughout Vietnam in order to deprive the Viet Kong of forest shelter and food sources, however the cataclysmic effects of the herbicides would be felt throughout the Vietnamese jungle for many years to come. The use of Agent orange has resulted in serious health effects for many Vietnamese citizens including serious skin diseases, various cancers of the lungs, larynx, and prostate, and debilitating and even fatal birth defects. In 1984, the Union Carbide pesticide plant in Bhopal, India, was the site of what is considered the world’s worst industrial catastrophe. Due to a safety system malfunction, a 40-tonne gas leak infiltrated the city, resulting in mass death. Half a million people were exposed to the deadly gas methyl isocyanate, resulting in an estimated 4,000 immediate deaths. Over the coming weeks the death toll would climb to around 15,000, with thousands more suffering permanent injuries. Today, over 150,000 people are suffering from ailments caused by the accident and subsequent plant site pollution. In July, 1976, TCCD contaminated vapours were leaked from a pesticide plant the Italian town of Seveso. Around 37,000 people were exposed to the highest ever recorded levels of dioxin, with 600 people evacuated and many thousands of people treated for dioxin poisoning (a symptom of which was painful skin lesions, or chloracne). Thousands of animals died within days of the accident, and over the next few years over 80,000 animals would to be slaughtered to prevent toxins from entering the food chain. Later studies would show that those exposed to the harmful chemicals were more likely to develop health complications later on. On the 17th of April, 2013, a Texas fertiliser plant owned by West Fertiliser Company blew up, killing 15 people and injuring many hundreds of others. Dozens of homes were destroyed in the blaze, along with a nearby middle school. The explosion registered as a 2.1 magnitude earthquake, making it comparable to a bomb detonation. Although ongoing contamination from the explosion is not yet known, the blast would not have occurred if the chemicals contained in the plant were properly stored and reported. After the Second World War, synthetic pesticides like DDT were widely administered across the globe in order to combat diseases like typhus and malaria. While it was effective in this sense, DDT detrimentally affected the environment and was linked to the decimation of bird populations. Later, traces of DDT were found in human breast milk and the chemical was liked to premature births, leading to it being banned in many nations. Pesticides and herbicides are necessary in many situations, however their wrongful use of these chemicals, as well as accidents associated with producing them, can lead to devastating environmental impacts and cause substantial loss of life. Alpha Environmental offer professional environmental consulting and environmental assessment services, to ensure your workplace is free from harmful contaminants. Contact us on (03) 9415 8002 to find out more.